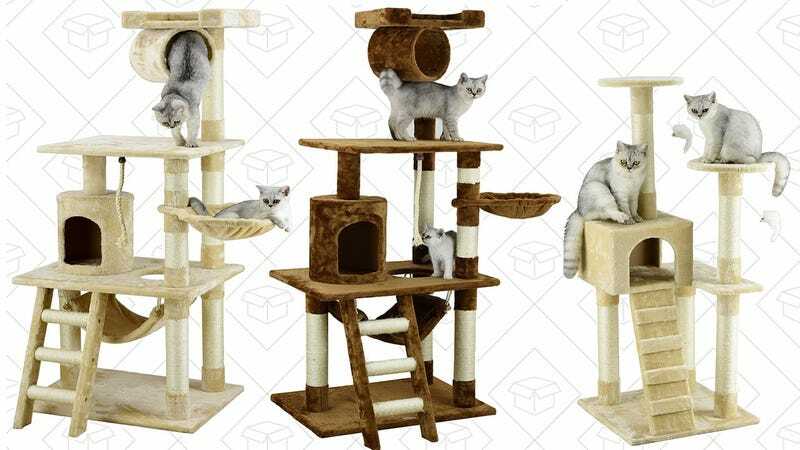 Your cat deserves a gift this holiday season too, and nothing will make her happier than one of these discounted cat towers. Oh, she’ll still loathe you and won’t understand that you spent your hard-earned money on the thing in a foolhardy attempt to win her affection. But she’ll still enjoy it.